Pearson publishing has made an investment in NOOK Media, the company co-founded by Barnes & Noble and Microsoft. It seems that some folks have a lot of faith in the recently formed NOOK Media company. 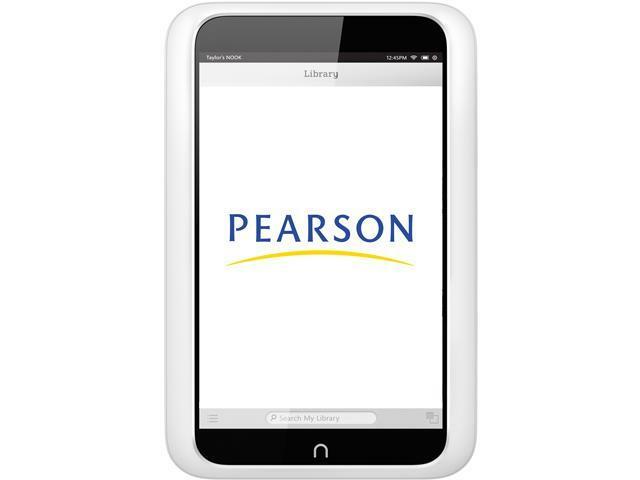 Pearson agreed to an $89.5 million investment in the company for a 5 percent equity stake. That places the valuation of the company at $1.789 billion. Not bad for a company that only completed its $300 million formation in Oct. of this year. Microsoft holds 16.8 percent of the new company. Pearson's interest in the company is based on its interest to having "a more seamless and effective experience for students." What exactly that means is unknown at this time. To date it actually has been clear what the entire company will do as a whole. So far we have just seen a lot of money moving around, and a company name finally announced, but beyond that there hasn't been much movement. Hopefully there will be some more details arriving in 2013. New York, NY and London (Dec. 28, 2012) – NOOK Media, LLC, a subsidiary of Barnes & Noble, Inc. (NYSE: BKS), the leading retailer of content, digital media and educational products, today announced that Pearson (NYSE: PSO), the world's leading learning company, has agreed to make a strategic investment in NOOK Media, LLC. Pearson has agreed to invest $89.5 million in cash in NOOK Media, LLC at a post-money valuation of approximately $1.789 billion in exchange for preferred membership interests representing 5% equity stake. Following the closing of the transaction, Barnes & Noble will now own approximately 78.2% of the NOOK Media subsidiary and Microsoft, which also holds preferred membership interests, will own approximately 16.8%. Subject to certain conditions, Pearson will earn the option to purchase up to an additional five percent ownership in NOOK Media. Pearson's strategic investment in NOOK Media will accelerate customer access to digital content by pairing its leading expertise in online learning with NOOK Media's expertise in online distribution and customer service. This will facilitate improved discovery of available digital content and services, as well as seamless access. "We formed NOOK Media to be a leader in the exploding market for digital content," said William Lynch, Chief Executive Officer of Barnes & Noble, Inc. "Pearson is a forward thinking company similarly focused on reading and learning, with powerful assets and a terrific management team. We welcome their partnership in NOOK Media, and look forward to working with them and Microsoft to deliver great digital experiences for our shared customers." Will Ethridge, Chief Executive Officer of Pearson North America, said, "Pearson and Barnes & Noble have been valued partners for decades, and in recent years both have invested heavily and imaginatively to provide engaging and effective digital reading and learning experiences. This new agreement extends our partnership and deepens our commitment to provide better, easier experiences for our customers. With this investment we have entered into a commercial agreement with NOOK Media that will allow our two companies to work closely together in order to create a more seamless and effective experience for students. It is another example of our strategy of making our content and services broadly available to students and faculty through a wide range of distribution partners."